Seems kind of, I don’t know, dumb!? 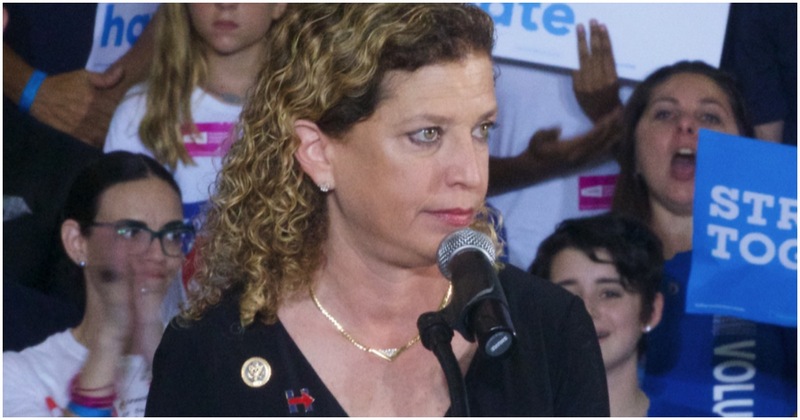 Congresswoman Debbie Wasserman Schultz, one of the key players in ensuring Hillary Clinton received the Democrat nomination for president in 2016 (no matter what) makes it clear. Teachers should not be allowed to protect themselves. Putting more guns in schools is not the answer to ending senseless mass shootings. Teachers, parents, and students are united against arming our educators. Democrat Congressman Eric Swalwell of California might just run for president in 2020. Then again, candidate Donald Trump wasn’t given much of a chance from the jump when he declared back in 2015, either. The thing about Swalwell is that he’s a typical progressive. He wants guns confiscated by any means. He even suggested nuking Americans who fight back. It must not be against @Twitter TOS to casually insinuate that it’s better to give up our guns than die in a thermo-nuclear blast at the hands of the U.S. gov’t. The 2020 Democrat presidential field is likely to be as crowded as the GOP’s in 2016. Former Vice President Joe Biden. Former Attorney General Eric Holder, the only cabinet-level official to ever be held in contempt of Congress. Twice-failed presidential candidate Hillary Clinton. Fame-seeking lawyer Michael Avenatti. Senators Kamala Harris (CA), Cory Booker (NJ), and Elizabeth Warren (MA). Sens. Bernie Sanders (VT) and Amy Klobuchar (MN). Former New York City Mayor and billionaire Michael Bloomberg, too. Add Rep. Eric Swalwell, D-Calif., to what is expected to be a crowded field lining up to run against President Donald Trump in 2020, according to Politico. “He’s definitely running,” a source told Politico, because Rep. Swalwell has not officially announced his intentions to campaign for president. Rep. Swalwell, 37, will reportedly be the first potential candidate to head to Iowa. He grew up in Iowa, the famed location of the Iowa Caucuses will kick off the primary season across the United States every four years. How about soon to be ex-Colorado Governor John Hickenlooper? “I’m the governor of Colorado and I’m gonna run for president,” Hickenlooper said during a stop in New Hampshire, where he’s campaigning for down-ballot Democrats. 65 million people voted for Hillary Clinton in 2016, and Texas Senate loser Beto O’Rourke just broke every single one of their hearts.